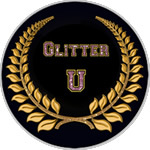 If you have costumes that need to be laundered then you will want to use polyester glitters with washable glues (we sell these on this website). Plastic glitter is not meant to be submerged in water. 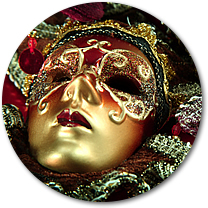 Plastic glitter is great for masks, head dresses and accessories. 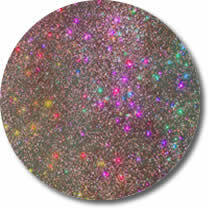 The larger flake plastic glitters catch a lot of light and look great "under the lights". If you want to apply glitter to styrofoam you can apply a layer of white glue and dust the glitter over it. Basic white glue works best as some of the more "modern" glues will actually eat into the styrofoam (chemicals in the glue can do this). This not only looks terrible but, it can also release toxic fumes. We offer a spray glue that is safe for Styrofoam brand foam. It is made by Design Master and it is called Spray Glue for Glitter. You can find it here. 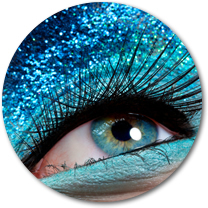 Fine (0.015) and Ultrafine (0.008) polyester glitter works best for face makeup when you really want your glitter to sparkle (upper eyelid look). 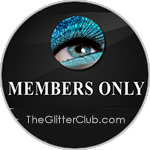 If you are going more for the bottom eyelid look then Microfine (0.004) polyester glitter mixed with a base is better. This is the way to go with photography and close up contact. Plastic glitters are fine for the skin but they are heavier and most people choose not to use them. However, if you are on the stage and need to really sparkle then the larger flake polyester or plastic is the way to go. With the stage, you really need to be able to see the makeup from a distance. Bigger flakes bounce more light! When you are doing nail application you need to be aware of your adhesives and coatings. 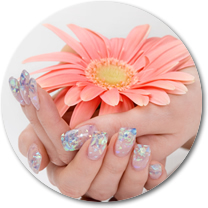 Polyester glitter is the only glitter that works with acrylics, lacquers, solvents and gels. You can either mix the glitter into your medium or you can dust the glitter on (or dip the tips in). 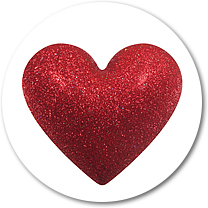 You should always do a test of your glitter (even polyesters) to make sure they do not fade, bleed or worse melt. Testing is an important part of doing cosmetic glitter work. Plastic glitter does not work for nails. It is not solvent resistant! Polyester glitters and Plastic glitters are both fine for most crafts applications. 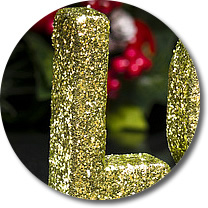 Polyester glitters are usually made finer so they are great for fine detail work. Plastic glitters are usually a larger flake so they are better for covering large areas and also for catching more light. Spray Glue (Super 77 is best) is great for large area coverage. This is the brand we use here at the CPG professional art studio. White glue and clear glues are terrific for detail work. Some glitters will bleed into white glue. If this is a concern you might want to stick with glues that dry clear. We get this call a lot... "How much glitter do I need to cover 3D letters?". We wish we had the magic answer but, the truth is that it is a whole lot of math. 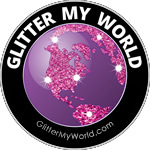 With the plastic glitter that we sell on the site, you can lightly cover 1 square foot with 1oz of glitter. Need it to be total and thick coverage then you need to up that amount. Next- how many ounces do you need? Grab your ruler and start measuring those letters. 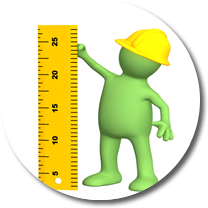 If you are covering all sides make sure to measure every side! When using glitter on stage sets you generally want to use larger flake glitter (0.040). The larger the flake the more the stage lights will catch the light and bounce it around. When covering stage pieces you can save money on glitter by painting the stage piece the color of the glitter you are applying. By doing this, you can use less glitter and if the base color shows through you will not see that it is missing glitter. You can apply the glitter to the wet paint or you can wait for the paint to dry and then apply glue/adhesive and then apply the glitter. Glitter floors! The best glitter to use for floors is polyester glitter. The reason you need this type of glitter is that the glitter will be mixed into or top coated with epoxy or a similar material. People use glitter to make fishing lures in a couple of different ways. Some people apply it to a lure as a final added sparkle coat. When this is done usually a top coat is applied over the glitter to seal it. The other type of lure is when you want to cook soft plastic lures. 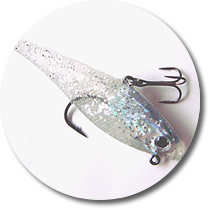 This type of lure requires that glitter can withstand up to 350F temperatures. Glitter Math! 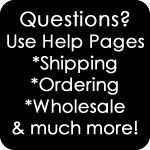 With the plastic glitter that we sell in bulk on the site, there is an estimate that you might find useful. One ounce of glitter will cover 1 square foot. To figure out how much glitter you need, you will want to break out the ruler and see how many square feet you are trying to cover. If you need total coverage be sure to estimate high. If you need light coverage or a dusting to add some sparkle, then you might estimate lower. Need to fill a container rather than cover a surface? The glitter we sell on this site has an easy math equation. One pound of glitter will fit into a quart jar (once it packs down there will be some extra space in the jar). Four quarts equal 1 gallon. So, four pounds of glitter is basically a bit less than 1 gallon in volume. The 25lb box of craft glitter we sell fits into a 14 x 14 x 6 box (Crystal Clear fits into a 14 x 14 x 10 box). The above applies to craft glitters. Those are the kind of glitter most people use to cover large surfaces and volumes.